Nothing beats the beauty of gorgeous, bright eyes framed by thick eyelashes. But what’s a girl to do when her eyelashes look thin and wispy rather than long and luscious? Wear and tear. 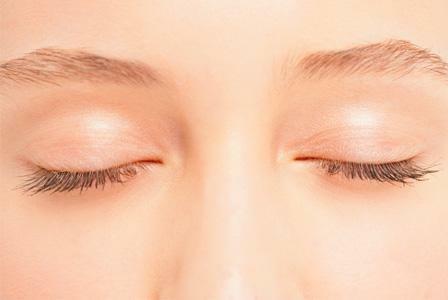 If you rub your eyes or tug at your eyelashes in any way, you could be contributing to eyelash breakage and thinning. Poor makeup habits. Misuse of mascara is a main cause of eyelash thinning. First of all, never leave mascara on overnight, because this can cause the delicate lashes to break. Never comb through mascara to remove clumps once it’s already dried. Finally, never use one tube of mascara for more than three to six months. Eye infections and other medical conditions. Sometimes, there are underlying medical conditions that can lead to eyelash thinning. Vitamin deficiency and hormone imbalances can lead to hair loss over the whole body, including the eyelash. Eye infections like pink eye can also cause a thinning of the lashes. Aging. Unfortunately, the natural aging process triggers a reduction in the bodily reactions that promote hair growth over the whole body, which means that all body hair thins as time goes on. Practice smart makeup habits. If you use an eyelash curler, never pull your eyelids up and out to create a strong curl. In fact, never tug on your eyelids or lashes at all. Use only mascara that glides on smoothly, and only comb through your eyelashes when the mascara is still wet. Use gentle makeup removers. Rather than just using water and soap to scrub your eye makeup off at night, use a dedicated makeup remover to get rid of your eye makeup. Dab the makeup remover gently onto your eyelid and lashes, and carefully pat it off. Condition your eyelashes. You can prevent eyelash breakage by moisturizing your eyelashes, just like you’d condition your hair to prevent split ends. Don’t use hair conditioner, though. You can use a tiny dab of Vaseline on your lids at night to develop healthy, strong lashes. Of course, eyelash thinning isn’t always related to unhealthy makeup routines. If modifying your behavior doesn’t seem to help, a trip to your doctor may be in order to make sure that you don’t have an underlying medical condition that’s causing your hair loss. Your doctor will be able to prescribe vitamins, hormonal therapy or other supplements or medicines to address your medical concerns. If you still are unhappy with your eyelashes after addressing your medical concerns, there are a couple of remedies you can look into for longer-term help. Latisse. This prescription drug actually promotes long and thick eyelash growth. Your doctor can prescribe it for you if she thinks it’s appropriate for your condition. Eyelash extensions. At $300 and up, eyelash extensions are a pricey and impermanent remedy. They last for a couple of months, but can help open up your eyes and provide the look of long and healthy eyelashes while they last. Lash-enhancing serums. You can purchase a variety of lash-enhancing serums available on the market. These serums contain a prostaglandin-type compound that’s naturally found in the body, which can promote longer and fuller eyelashes. If you’re in the market for a serum, check out Vichy Laboratoires’ LiftActiv Serum 10 Eyes & Lashes for $47 or RapidLash’s Eyelash and Eyebrow Enhancing Serum for $50.